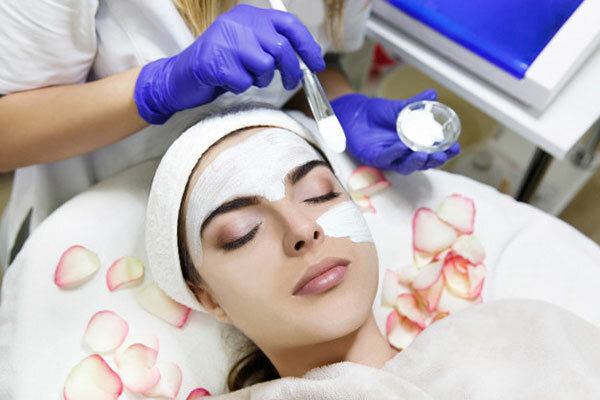 With the improvisation of technology and the introduction of innovative new methods, Cosmetology has become one of the most popular treatments which can cure skin, hair and nails related complications effortlessly. Due to erratic changes in climate, pollution, stress, unbalanced diet, stationary lifestyle, the fleeting pace of life, the impact of the latest gadgets and effective drugs, not only aged people and women, but youngsters are also facing problems such as bags under eyes, reduced muscle tone, premature wrinkles, deteriorating circulation, smile lines, etc. Cosmetology can effectively address these problems and help you look your best in all seasons. Cosmetology is one of the most exciting career options in the beauty industry. It involves a lot of research to understand customer needs and requires specific skills to resolve a particular problem. Cosmetology is a unique field where not only women, but men can also venture and be successful. Professional skills are a must to be successful in a career in Cosmetology. Clients rely on the strengths and skills of their cosmetologists to make them look their best. Thus, a cosmetologist needs to be educated, stylish and authoritative to win and retain a considerable amount of trust. While training, a Diploma or a Certificate is a must for cosmetologists, but having the right qualities and confidence level can make or break a career. A cosmetologist beautifies and gives a new look through hair and makeup design. Being naturally creative is important, because cosmetologists must envision hairstyles on their clients or should be able to customise a style provided to them. Cosmetologists should maintain excellent relationships with customers since a large part of their business relies on word of mouth and repeat visits of customers. They need to spend a substantial amount of time with their clients to understand their exact needs, so good communication skills are extremely important. Cosmetologists must listen to the exact needs of their clients and deliver those as per their specific request. For technical skills, an aspirant must enroll in an institute offering specialised courses pertaining to Cosmetology. These programmes are available through vocational training courses which include makeup, beauty, hair, spa and nails courses. A cosmetologist must have the physical capability to stand for long periods of time. In addition, cosmetologists are required to do some repetitive activities such as blowing and drying hair, holding arms of customers in a fixed position while styling, among others. So they must possess strong physical capabilities and a steady hand. While styling and cutting customers hair, manual and finger dexterity skills help cosmetologists to make calculated and co-ordinated moves. Cosmetologists must be able to grasp, manipulate and assemble items and handle small objects. Fashion stylists are always in demand in the global fashion arena. For editorial features, print or television advertising campaigns, music videos, concert performances and other public appearances, the clothes and accessories for celebrities, models or public figures are selected by fashion stylists. They are an integral part of a creative team that comprises fashion designers, photographers, hair stylists and makeup artists during the execution of a specific project. An editorial/advertising stylist prepares models for photo shoots in commercial and editorial projects. One can easily start styling independently after building up a great portfolio while working in an agency. These stylists must be very versatile, organised, and have a creative vision in implementing a variety of styles and looks as per the requirement of the campaign. The platform stylists are in high demand in the beauty industry. A platform artist is a rock star among hairdressers. Platform artists perform on stage to promote styling techniques, tools or products through entertainment and communication, mostly at industry trade shows. Celebrity or personality stylist is a recognised profession in the beauty and fashion industry. Besides being a wardrobe stylist, a celebrity stylist also needs to be an accomplished fashion stylist, who selects the clothing for publishing editorial features, print or television advertising campaigns, music videos, concert performances, and other public appearances made by celebrities, salon models or other public figures. These are the professionals who provide the vision and creative direction to a salon or a beauty company. They need to be innovative in creating new hairstyles, colors and techniques that can be used as new trends” in the forthcoming season. So, artistic directors need to be visionaries and fashion forward individuals with a creative mind. They need to be trend-conscious, good communicators and be able to manage multi-tasking assignments. A hair stylist, sometimes called a hairdresser or beautician, cuts, colors, bleaches and styles hair. A hair stylist may also provide permanent waves or straightening of hair. Before working on a client, hair stylists analyse hair texture and recommend a style to the customer. The owners or managers of a salon or spa are usually responsible for daily banking, budgeting, expenditures and other financial duties. These can range from managing petty cash for small maintenance tasks around the shop to managing payroll and overseeing employees reports. They also need to conduct personalised communication with the customers for building long-term relationships. A wedding and event stylist is a professional who conceptualises and executes the theme, design, plan and management of a client’s wedding. Weddings are significant events in people’s lives and as such, couples are often willing to spend a considerable amount of money to ensure that their weddings are well organised. Estheticians are often known as skincare specialists. They are experts in scalp massage treatments, light therapy, waxing/threading/hair removal, facials, masks and wraps, makeup application, pore cleansing, body scrubs, moisturising treatments, acne treatments, etc. 1. A candidate must have completed a Certificate or Diploma course from a certified cosmetology institute or school. 2. If you are skilled enough to work as a professional under different circumstances, you are eligible to get a job. Prior experience is helpful, but not necessary. A candidate should rather be passionate and flexible towards his / her profession. 3. Attitude goes a long way too. A candidate who demonstrates “confidence” always has an advantage in getting a job in any stream of the beauty industry. 4. There are many beauty institutes and schools but aspirants should check the quality and facilities provided for practical training, certifications offered, training modules, faculty and post training employment opportunities, before enrolling for a course in an institute. There is no formal educational qualification required to become a cosmetologist, but the industry requires candidates to complete education from a recognised school or institute of Cosmetology, and be over 16 years of age. There are various diplomas and other courses with specialisations that may result in earning an Associate degree. Many polytechnics and vocational institutes offer courses in Beauty Care/Cosmetology. Most people in this field continue to take courses that help them stay in line with the latest trends. Cosmetologists are required to complete training at a certified cosmetology institute or school to get licensed. Most cosmetology schools follow their own unique curriculum and course schedule. The compensation package depends largely on the specific stream of profession chosen by a candidate. In India, a fresher can start at Rs. 1.5 to 2 lakhs per annum as a starting salary. With a professional degree, they can expect a starting salary of Rs. 50,000 per month. The author is Nalin Verma, co-founder & director, Euro Chroma Institute of Cosmetology (ECIC), the only institute in India supported by Kryolan Professional Makeup.